If you’re running a wholesale e-commerce store or trade shop, then you know this type of business comes with particular challenges. You’ll need to find a way to display all your items effectively, and cater to multiple types of customers. A WooCommerce trade login plugin is an essential part of this. Fortunately, there are plenty of tools that can help you out. This is especially true if you’ve built your trade shop using WordPress and WooCommerce. With the right set of WooCommerce trade login plugins, you can get exactly the functionality you need to keep your e-commerce store running smoothly. In this article, we’ll talk about why your store might require some additional features. Then we’ll show you how to use two excellent WooCommerce trade login plugins, and explain how to add a trade-friendly order form to your site. Let’s get started! When it comes to building an online store of any type, WordPress is an excellent platform. It’s secure, beginner-friendly, and quick to set up. While WordPress does lack specific e-commerce features, these can easily be added using a plugin such as WooCommerce. You’re probably selling hundreds or thousands of items, so you’ll need a way to organize them effectively and help customers find what they need quickly. If you’re only selling to other businesses, you might want to hide your store from public view. On the other hand, if you’re selling to both businesses and the public, you’ll often want to display different products to each type of customer. To add these features to your trade shop, you’ll need some additional tools. As it turns out, there are some WooCommerce trade login plugins that are perfect for the job. Now, let’s look at two WooCommerce trade login plugins that will help you customize your store. The first enables you to password-protect your entire shop, while the second lets you restrict particular categories of products from public view. Choose one of these plugins depending on whether you’re creating a trade-only shop, or a WooCommerce store with separate public and trade areas. Many B2B stores sell only to specific customers. To avoid confusion and keep your wares private, you may want to restrict access to your site. That way, only approved and logged-in users will be able to see your products and place orders. Create trade login areas on your site today! Sprezzatura Imports is a wholesaler based in the US. They specialize in distributing the Italian coffee brand ICAF. Their coffee products can only be bought by registered distributors, that’s why they’ve hidden their online store behind a WooCommerce trade login screen using our WooCommerce Private Store plugin. Now the WooCommerce Private Store plugin is installed, Sprezzatura Imports can decide what the public can see and lock all other information away in a secure, password protected area. They’ve also made it a simple process for registered distributors by adding the trade login page to their navigation menu. Continue reading to find out how to set up your own the private store plugin to create your own WooCommerce trade login. Enter your license key here, and click on Save changes at the bottom of the page. 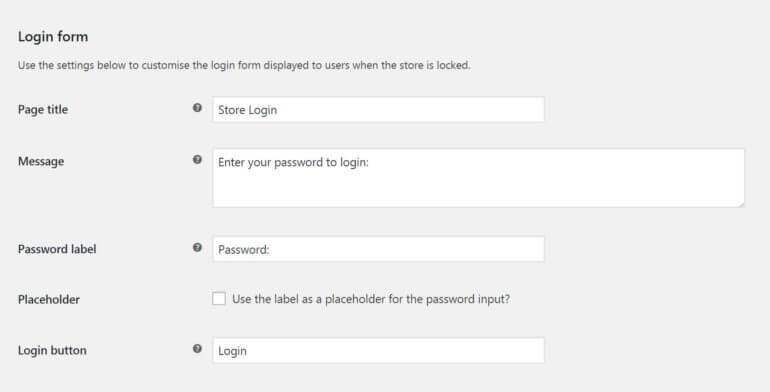 First up, you can enter one or more passwords that will unlock your store, using the Store passwords field. You can also configure how quickly those passwords will expire, and what URL customers will be redirected to after logging in. In addition, you can unlock the store for users who have already logged in to your site using a WordPress account. You can set a title, message, and more, so visitors will know exactly what they need to do. That’s it! 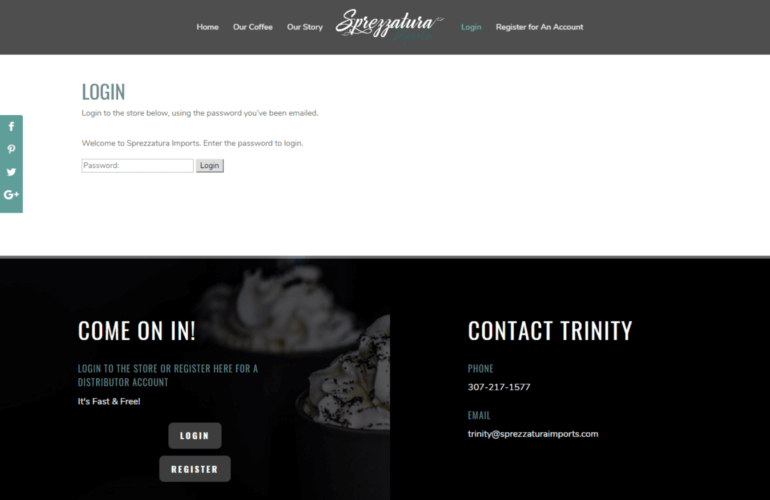 Now, customers will need to log in using this form before they can access your store. If you want, you can even customize the shortcode to add more features. Of course, many trade shops do sell to the public. However, you may want still want to restrict access to certain categories of products. That way, you can sell different items to trade customers and the public. You’ll need to start by purchasing and installing the plugin. Then, go to WooCommerce -> Settings in your dashboard, open up the Products tab, and click on the Protected categories section. Here, you can enter and save your license key. Then you’re ready to configure the plugin’s settings to meet your specific needs. Enter the password that customers will need to use before they can see associated products. You can use the same password for all protected categories, or a different one for each. Plus, you can even add multiple passwords for the same category. Save your changes, and you’re all set! For any categories you want to remain visible to everyone, simply leave the Public option checked instead. While this setup will be sufficient for most stores, you can also configure the plugin’s functionality even further if you’d like. If you’ve made it this far, you now know how to keep your store private or require B2B customers to log in before they can view certain products. This is an easy task, if you use the right WooCommerce trade login plugins. Before we wrap up, however, let’s talk about one more addition you can make to your WooCommerce trade shop. By default, WooCommerce is set up so that customers have to visit individual product pages to see and purchase each item they want. This is not an ideal setup for a trade store, however. You’re selling a lot of products, and customers are likely to place large orders for multiple items at once. Requiring them to visit each specific product page will only slow them down. What features can your WooCommerce trade order form have? Make product comparisons simple, by showing off everything you have to offer side by side. Display exactly the information you want in your order form, and even include product variations. Help people find what they want quickly, by using searching, sorting, and filtering functionality. Enable customers to check off all the items they want and purchase them from one page. 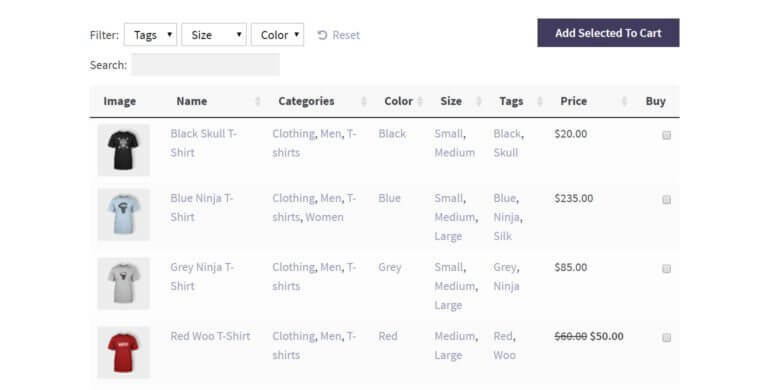 Add the wholesale order form layout directly to your WooCommerce shop and category pages, so that it’s automatically used when people access your hidden trade store. Create a trade order form on your WooCommerce site today! To learn more about how this plugin works, you can check out our full guide to using it for your wholesale store. With just a little effort, you’ll be able to set up the perfect trade store layout in no time. Read our WooCommerce wholesale order form guide! WooCommerce is an excellent solution, but it’s designed to work best for smaller, more traditional stores. If you’re building or running a wholesale shop with hundreds or even thousands of products, you’ll need additional functionality to make it work. To hide your shop from public view, you can use WooCommerce Private Store. 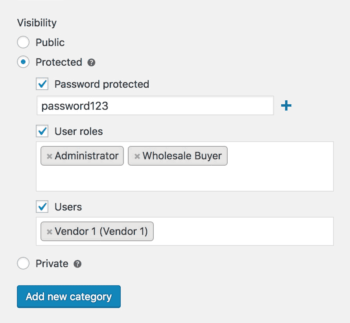 If you only want to restrict B2B products to certain logged-in users or roles, check out WooCommerce Protected Categories. 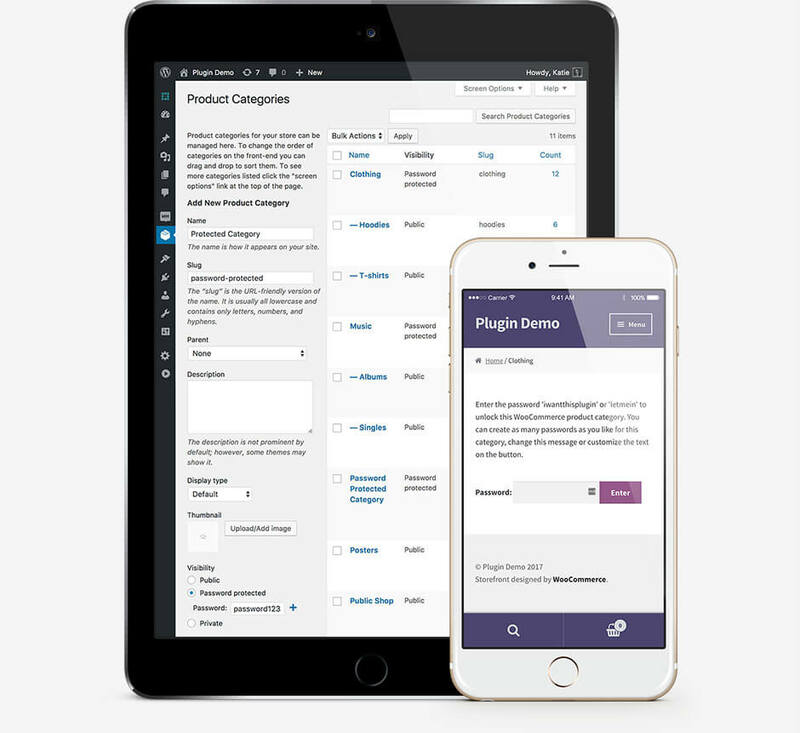 For a trade-friendly B2B layout, WooCommerce Product Table is a must-have. Do you have any questions about how to use WooCommerce trade login plugins effectively on your site? Let us know in the comments section below! I want to setup wholesale prices om my existing products without having to recreate a duplicate catalogue. Hi Gary, I can't find any orders under your name or email address so I'm not sure which plugin you have purchased. Please could you email me at katie@barn2.co.uk and I will advise on the best plugin for your needs.